Following a big Summer of Australian and New Zealand domestic training and racing, we sent it straight into Palma de Mallorca for the annual Princess Sofia Trophy. 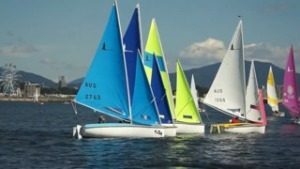 An annual regatta that attracts astronomical fleet sizes and great testing conditions for all classes. Dave and Joel had arrived a few days prior to us which meant we were straight into training the first morning that we had arrived. With our equipment setup and a week of training in the books to get dialled in and familiar with the venue, we got stuck into the racing. Water and air temperatures were comparatively much lower than Australia so acclimatising to the cold and wearing more clothing was probably our biggest challenge. Some strong qualifying results in a range of conditions had us right in the mix, our goal to qualify for the (top 25) gold fleet. Unfortunately, we were painstakingly just two points outside the bubble at the conclusion of qualifying. While disappointed, we re-grouped and pointed our focus on racing out front in the silver fleet. The finals racing gave us a great opportunity to test our strategic and communication skills racing at the front of the fleet, and we posted some strong results including a bullet to finish the regatta 28th overall (3rd silver). As much as we were a bit frustrated that we missed out on the gold fleet, we felt that this was still a great starting point for a long European season ahead, with some significant areas to improve on. A decent 10-day period followed the Princess Sofia Trophy where we paid our attention to some long days on the water with the 49er squad as well as pushing the limits physically off the water. Whilst Ryan stuck to the gym putting in the hard yards with fellow crew team mate Joel Turner. Dave, Euan and I spent the free time doing some extensive bike rides throughout the Spanish mountainside, sometimes exceeding 6 hours on the saddle! 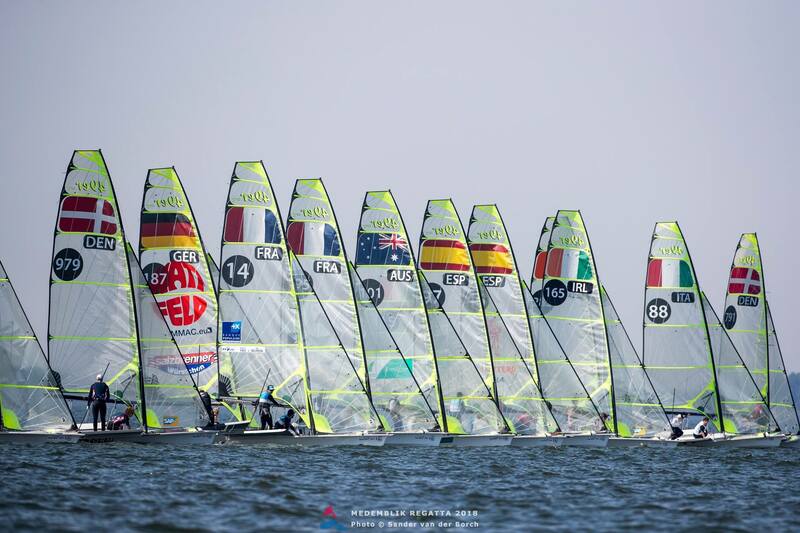 The World Cup events are a closed entry 40-boat quota for the 49er, meaning all competitors have to qualify for entry according to world ranking. It would prove to be a testing event, with the forecast playing havoc and often leaving us on the water waiting hours on end for breeze, among an eager fleet, which produced countless general restarts. One night we didn’t get off the water till 8:45pm! Probably the biggest test however, would come from the fleet quality. Racing 40 of the world’s best meant no room for error, and very few opportunities to come through the pack after a sub-optimal start. After a week of close racing, almost claustrophobic at times, we managed to confirm our position in 27th overall, taking away some very valuable lessons. hilst Ryan headed home as per the original schedule, I changed my flights to go and sail with Torvar Mirsky in Bermuda for the Argo Group Gold Cup, a traditional match racing event in the International One Design class (IOD). It was a privilege to be invited to sail with Torvar and the team at such a prestigious match racing event. It was world class facilities and regatta management as we were treated like superstars by all the locals and those involved with the regatta organisation. The racing was tricky, with the race-course being tucked up between two pieces of land, there was no easy way to win a race with an excessive number of lead changes over each day. After two days of fleet racing, we were positioned 6th, and although some may have seen it as a disadvantage not to qualify straight into the quarter-finals, we saw it as a massive opportunity to continue our upward spiral and learning to participate in the repechage round, in which we were able to march on into the quarters having only lost one race in the round. 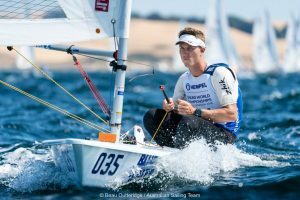 The all-Perth team was able to storm through the quarter-finals against Niklas Dackhammer, which put us up against Johnnie Berntsson in the semi-finals – another past champion of the regatta and the sport itself. We got off to a firing start claiming the first win, however he was too good for us and eventually took us down 3-1. This left the team in the petit final in which we went forward to win 2-0 to get up on the podium in third place overall. 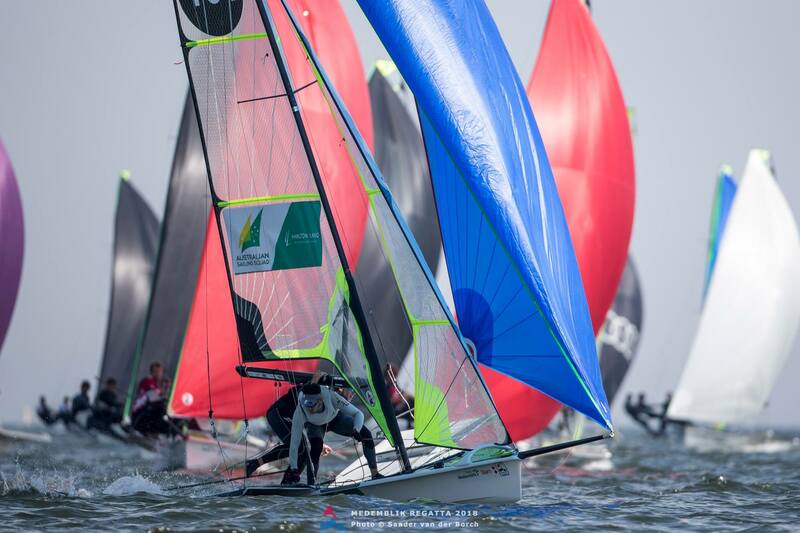 A later decision to attend this event would prove to be a great decision for us as a team as for another big-fleet racing experience and time on the water being surrounded by the best in the world. The grim weather for the few days of training leading up to the regatta passed us and we saw sunny skies and 25-degree temperatures for every day of the event. Some great results were produced in the two days of qualifying which put us straight into gold fleet for the remainder of the regatta. We gave it a big push to make the top 10 medal race however, after some misfortune and a UFD we were bumped outside the top 10 and cemented our final result in 14th place, our best position of the European season so far to date.